Tea and spices have a long history of use together. From the early days of tea as a medicine when it was blended with medicinal herbs and boiled for its healing properties, to the current use of spices as tea flavorings, it would seem that spices and teas go well together. Learn all about spiced teas, including what they are, where they are drunk, how to make them at home, and more. Broadly speaking, spiced teas are "true teas" (teas made from Camellia sinensis) blended with spices, steeped with spices or boiled with spices. The term "spiced tea" sometimes also refers to herbal teas made up primarily of spices (though some use rooibos or other herbs as a "base" in the blend). Masala chai: Also known as "chai tea", masala chai is India's famous spiced tea. It can be made with single spices (such as ginger or cloves) or with a blend of spices. Although it originated in northern India, today countless variations on chai can be drunk in many countries around the world. Ginger tea: Many spiced tea blends and freshly prepared spiced teas contain ginger. Ginger works well with green tea, black tea, puerh tea and sometimes even oolong tea. It gives teas a warming, piquant, slightly sweet flavor. Ginger has been used in tea since ancient times in China and is used in teas around the world today. Cinnamon tea: Cinnamon is commonly used to flavor black teas, but it can also be used with certain green, oolong or puerh teas, too. It has a sweet, warm flavor that pairs well with fruit ingredients in tea drinks. 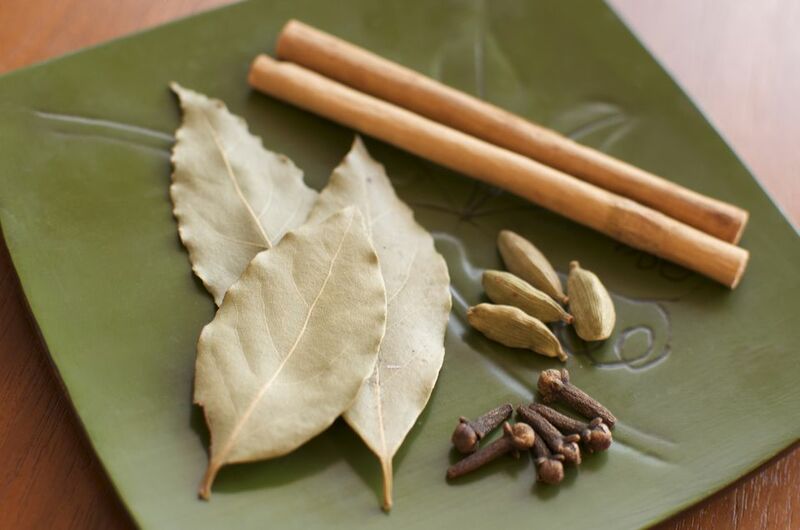 It appears that the use of cinnamon to make spiced teas originated in India. Mint tea: More an herb-tea blend than a spice tea, mint tea can refer to an infusion or decoction of mint leaves or a drink made from true tea and mint. Morocco is famous for its mint tea, which is a boiled mixture of fresh mint and Gunpowder green tea. Other versions of mint tea are enjoyed around the world. Ethiopian spiced tea: Ethiopia is mainly known for its coffee culture, but it also boasts a few notable tea drinks, including spiced tea. Ethiopian spiced tea is often made from black tea, cinnamon, cardamom, orange, and honey. Russian spiced tea: This blend of tea, juices, and spices is commonly a black tea flavored with cloves, cinnamon, pineapple juice, orange juice, and sugar. Many variations exist. The drink is popular in America around Christmas. Ancient spiced teas: From the earliest history of tea in modern-day China, Tibet, and Laos, tea has been blended with herbs and spices. These include ginger, orange peel, and even onions. In some areas, the tea was also boiled with salt and yak milk or yak butter. In Nepal, Tibet, and parts of India, this tradition of adding salt and yak dairy to tea remains.